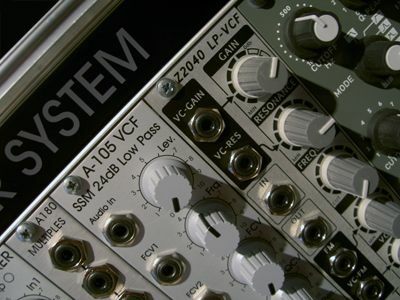 It's one of Doepfer's oldest modules and not something I really thought I needed. But, having spent a weekend playing with the A-156, I've got to ask myself 'Why the hell didn't I get one of these years ago?'. 1) SEQUENCE FROM ENVELOPE. Plan B Model 10 loops, envelope to A-156, End Out to Wogglebug clock. A-156 Trigger to VCS. Wogglebug stepped output to A-156 transpose, M10 VC-Timebase and VCS VC Fall. 2) GLISSANDO 1. Pitch CV slewed by VCS, then to A-156. Trigger out to A-143-1. 3) GLISSANDO 2. Kenton Pro 2000 II provides auto-portamento. CV to A-156. 4) RANDOM. Wogglebug woggle out to A-156, trigger to Borg filter in LPG mode. 5) KINETIC GATES. Pitch bend via MIDI joystick to A-156 (chromatic mode) and VCO. Trigger to Borg (LPG). 6) SEQUENCE. LFO to A-152 Voltage Addressed T&H/ Switch. Digital outs to mixer, four stage sequence to A-156. Trigger out multed to main envelope and A-160/ 1clock divider/ sequencer to fire kick, high hat & bass. 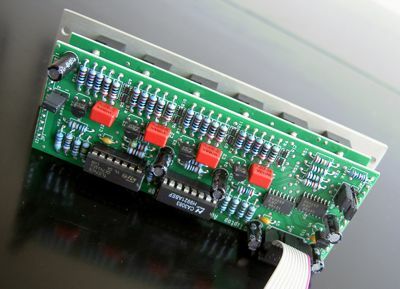 7) DUAL Q. LFO clock to Q1 & Q2 trigger inputs and A-160/ 1 CLK DIV/ SEQ. /2 > EG1, /16 > EG2. All patches feature manual toggling of the A-156's mode switches and, maybe a bit too much, EHX SMMH delay. While not as stable or versatile as my Kenton Pro 2000 II/ Sequentix P3 combo, the A-156's ability to generate sequences from LFOs, envelopes, joystick sweeps and random sources, coupled with the fact that it outputs a trigger on each quantization, makes this a very useful and musically inspiring module. I've been a fan of SSM 24dB low pass filters since first playing with a mate's Korg MonoPoly in Brighton the late eighties. Years later in Berlin, I bought a second hand PolySix for 300 Deutsch Marks (around €150!) and this further cemented my affection for the SSM sound. So, naturally, when it came to choosing a filter for my first modular system, Doepfer's A-105 was top of the list. As users of SSM - and indeed most 24dB - filters will tell you, the biggest drawback is the loss of volume and bass at high resonance levels. So when Tiptop Audio's Z2040 was announced, I was keen to hear how this problem had been addressed. The following test showcases the Z2040, based on the SSM2040 filter chip, using Doepfer’s A-105 as a comparison. While the sound is similar, the Doepfer uses an SSM2044, which is not the same filter topology. At medium gain and with no resonance, the filters are virtually indistinguishable. The real difference becomes apparent at higher resonance and gain settings, so that is what I have focussed on. You can download the full test (12.4MB) here. While the resonance response of the two filters is similar at low gain levels, settings around 0dB and above have a marked effect on the Z2040. See the full test for more details. Three VCOs, medium resonance, high gain. The Z2040 displays real grunt while accenting harmonics, the A-105 sounds flat and distorted. Again, please see the full test for more details. The Z2040 is well built and has a classy, creamy and warm sound. The gain stage saturates beautifully, adding rich harmonics without nasty clipping. Will it replace the A-105 in my system? No. 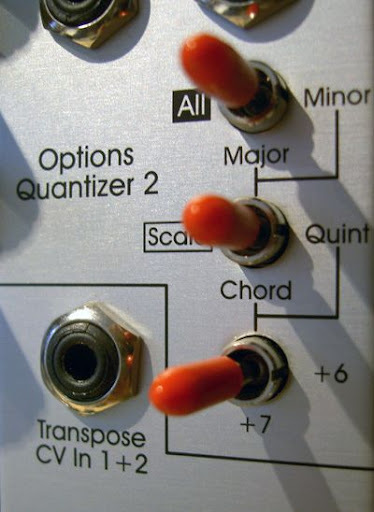 I'd miss the 'squared-up', metallic, acid sound that the Doepfer filter is capable of. I guess they'll have to get used to being neighbours in my rack. Thanks to SchneidersBuero for the loan of the Z2040 and Gur at Tiptop for taking the time to answer my questions.